Your idea of turning BBM into an app is genius. Blackberry should totally do that. Whatsapp is ok for sharing links and pictures, but not that great in communicating or staying in touch with people. I’m still holding on to mine too. But I do love your app idea, and wish someone over at BB hears you and does it. @Buzfairy – yeah, WhatsApp has its constraints, I don’t know why don’t just make the BBM App available across the board, it would be so much better! and I was so hesitant to use whatsapp. The reason RIM is going downhill rapidly, is because they were so stuck up. They thought they were the best, and that they’d continue selling phones and make a lot of profit. But that is not the case. Remember this, they will file for bankruptcy very soon, just like Kodak. Kodak was also stuck up. I hope you check out my blog , I’m a new blogger and i’m trying to publish my blog into the blog community in Kuwait, so please RT in your twitter or give me a review. HAHA I feel your pain Zouk, coz I’ve been a NOKIA user for as long as I remember and still use one (proudly). I know… “Nokia? !” one would ask lol, but I refuse to use a BB or iP coz I don’t feel the need. But I’m quite updated and I use whatsapp on it too. 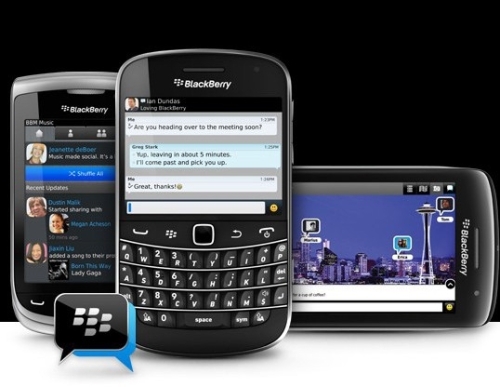 RIM became too comfortable in an extremely competitive industry. They carved out a niche in the world markets with their phones at the forefront of business applications. They shrugged off the iPhone surge and were dumb and naive. Now, they’re paying the price. BAD. I still am a BlackBerry user; however, after this one gives up on me there will no longer be any justification to not switch to an Android or iPhone. @anon – It’s not that bad, but BBM is still the best chat medium by far! @Nasser – Your pretty right, they are heading down the same road as Kodak! Too stubborn for their own good and not flexible enough! @906 The City – I will be sure to check it out! @Kuwait – Nokia’s really made the best phone, they just need to work on their software side! Remember the Communicator? Everyone had one back in the day! @elwehbi – Same here, I’m just waiting for it to die then I’m switching completely over to the Android! @N3VER2LATE – Very true, they had everything in front of them but they got too stubborn and didn’t see the short end in front of them! It’s sad!